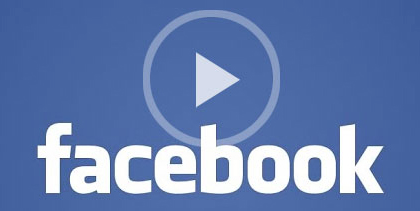 In September 2015, over 1.5M small businesses posted video to Facebook, including native uploads and video ads. Zuckerberg wanted to make it clear that Facebook is focused on investors, who are focused on advertisers, who are focused on reach – particularly mobile reach. It’s clear that he wants video advertisers to use “views” as a standard metric, even though comparing YouTube views and Facebook video views is like comparing apples to oranges. “Over the next few years, video is going to be some of the most engaging content online. And by continuing to innovate here, we have a chance to build the best place to watch and share videos”. Yep, he just declared war on YouTube, which allows over a billion people to discover, watch and share originally-created videos. The big difference between the two is YouTube focus on helping people discover videos – and YouTube’s Content ID program, which ensures that what gets discovered are “originally-created videos.” Facebook is focused on watching and sharing videos. Sheryl Sandberg, Facebook’s COO, shared a couple of more nuggets of news. She stated that revenue from mobile ads was up 73% year on year to $3.4 billion and grew 73% year-over-year. 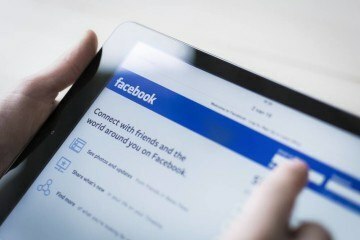 That means that mobile accounts for around 78% of Facebook’s total revenue from advertising. So, Facebook is focused on mobile. “The average American adult spends 25% of their media time on mobile, and Facebook and Instagram together continue to account for over 1 in 5 minutes on mobile in the US”. Mobile, mobile, and mobile. Get it? Got it? Good. Sandberg stated that Facebook was a good fit for marketers as it has “the best performing mobile ad products, and video is making them even better”. She believes that Facebook video gives the marketer a chance to reach a mass audience, with great cross device targeting and measurement”. “Our third priority is making our ads more relevant and effective. Carousel ads show multiple images, and now videos, and drive 30% to 50% lower cost per conversion than single-image link ads”. Video marketers are indeed faced with a two-party system. According to eMarketer, global mobile ad spending is expected to be $72.1 billion this year, and Google’s share of this market is projected to be 33.7%, while Facebook’s share is forecast to be 17.4%. And, according to comScore, the Top 6 – and 8 of the Top 9 – apps in the U.S. are owned by Facebook or Google. Today, some casual observers may mistakenly believe that it doesn’t matter whether you choose YouTube or Facebook video. But, there’s a big difference between YouTube’s and Facebook’s world view of video marketing and video advertising. Facebook is primarily focused on advertisers. Facebook is focused on views – and says a “view” is reached at the three-second mark whether or not the viewer has even turned on the sound. In contrast, YouTube has a more balanced concern for partners as well as advertisers. YouTube also has a more balanced concern for giving viewers choice over which ads they watch and connecting brands with a more engaged audience. In fact, with TrueView ads, you don’t pay for random impressions or maybe-they-saw-its. The viewer has to choose to watch your video or there’s no charge. YouTube not only urges advertisers to go beyond impressions and clicks, it also offers Google’s Brand Lift solution to help them measure brand awareness, ad recall, and brand interest. Finally, if you’re looking for a recent example of the impact of video ads, check out this one: P&G’s Gillette generated buzz for its latest razor, Gillette BODY, by targeting a rapidly expanding audience of body-grooming men. With a digital-first strategy anchored by YouTube TrueView ads, Gillette reached millennial males with their “100 Years of Hair” video ad. The results: over 84% of the 13.5 million total viewers finished most of the video, there was a 211% lift in searches for the Gillette brand, and the video ad generated over 500,000 clicks to buy.